Terry Butcher’s positive outlook is rubbing off on Hibernian already and the Hibees are worth supporting to make it two wins in a row under their new manager when Partick travels to Easter Road for a Scottish Premiership showdown. Hibernian is attractively priced at odds of 2.20 with William Hill, to follow up its 1-0 away victory over Ross County with a home win over a Partick team that is in freefall. Early enthusiasm worked wonders for Partick but the Scottish Premiership newcomer has lost each of its last five matches across all competitions, while its numbers since triumphing 2-1 at St Mirren on the final day of August are one victory, two draws and eight defeats. It is a good job that Heart of Midlothian started the season on minus 15 points, otherwise Partick would be looking over its shoulder very anxiously. Hibernian beat Partick 1-0 at Firhill Stadium two months ago and the Hibees are heading in an opposite direction to the Jags. Hibernian is not a superb side, even by Scottish Premiership standards, but it should be odds on in this situation against a Partick team going backwards. The English FA Cup second round features an all-English League One tie between Peterborough and Tranmere for which the Posh are available at odds of 1.73 with Coral. The tie is particularly interesting because Peterborough has faced Tranmere this term already and the result was one-sided in favour of the Posh. Peterborough thrashed Tranmere 5-0 away from home and now it gets to entertain Rovers. Peterborough is an excellent bet to make it into the last 64 by beating Tranmere for the second time this season in normal time. 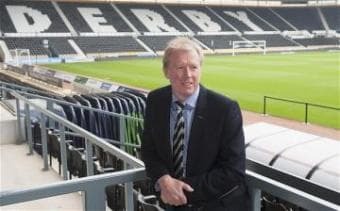 Former England boss Steve McClaren has lifted Derby into the English Championship play-offs zone since succeeding Nigel Clough and the Rams are on a four-game winning run having beaten Bournemouth, Middlesbrough, Sheffield Wednesday and Wigan since running Queens Park Rangers close on the road. Blackpool is in the English Championship play-offs zone as well but its recent form is not of the same high standard as that of Derby and Tangerines manager Paul Ince described everything about his team’s 0-1 loss at Yeovil as crap. Derby won last term’s corresponding fixture 4-1 and the Rams are very tempting at odds of 1.80 with Betfred, to defeat Blackpool and stay in touch with the English Championship pacesetters Burnley, Leicester and Queens Park Rangers. The pick of the English Premier League options is West Bromwich to beat Norwich at odds of 1.91 with Coral. West Bromwich is without a win in its last four English Premier League matches but the Baggies have scored in each of its last six games, finding the back of the net twice in four of them. Norwich has copped five consecutive hidings on the road across all competitions, conceding 22 goals and replying with only three. This is the type of match that West Bromwich will target for three priceless points. Also in the English Premier League, there is a decent case for backing over two and a half goals in the game between Southampton and Manchester City. Only three of Manchester City’s 14 English Premier League matches have gone under two and a half goals and Southampton’s defence is not putting up the same numbers that it was a month or so ago. Southampton is generally good for at least one goal at home so, with the Saints odds on to lose to the English Premier League title favourite, backing over two and a half goals at odds of 1.85 with BetVictor makes a great deal of sense. Finally, Sochaux is the sacrificial lamb that must face the fury of Paris Saint-Germain after PSG lost its long unbeaten record in midweek. It is top versus bottom in French Ligue Un and yet Paris Saint-Germain, which will be motivated to reassert its domestic superiority, is trading at odds of 2.20 with Sportingbet to cover a two-goal handicap line.